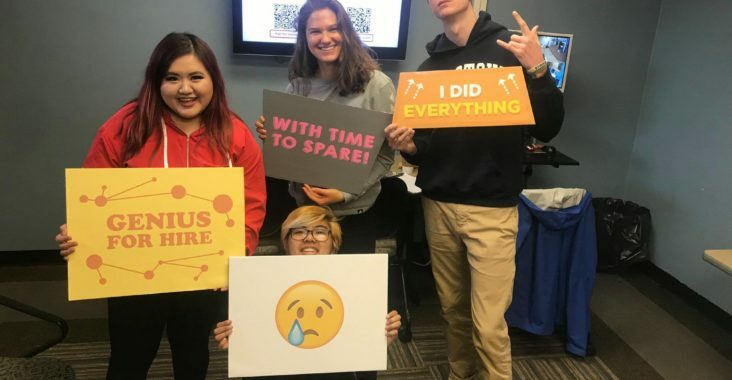 Housing is a huge part of any university, and University of Wisconsin-Stout housing has decided to open up a space for students, faculty, and the community to enjoy the thrills of going through an escape room. Adam Ludwig, an Assistant Director in University Housing, with the help of professors and students around campus made this innovative idea possible. Ludwig’s title includes being in charge of some of the Resident Life Coordinators (RLC); specifically, in AFM and North campus, and two of the main components are leadership initiatives in the residence halls, and marketing. Ludwig has been at Stout for about a year and a half now. Ludwig decided on creating an escape room for this university based on a team building activity for the housing department—RLCs and central staff—where he created an escape room for them. “I thought it’d be a really unique idea to put an escape room together for them, where we could work together and do some team dynamic work—communication, conflict management—and it was the first time ever I’ve built an escape room. It is a difficult thing to manage, so you get the thrill of time crunch immersed in this atmosphere where you have to solve these puzzles too. You either have to stop a thing from happening or start a thing to happen or escape the room, whatever that might be. I think it really puts you in this place where it’s the most real-life problem-solving scenario, and that was really cool for our team to do,” said Ludwig. Ludwig realized that this idea would be a great initiative to have student orgs, student staff groups, students in general, and faculty/staff to have this experience. His goal, is for those to use this as a leadership opportunity; to find them and practice them in this activity. The process of creating the escape room was, “a long adventure.” The space they used was an old basement space in Curran hall, which used to be an old radio broadcasting studio when Stout had one on campus. Being that there were multiple rooms inside, it provided great opportunities to unlock doors and get through things. Many of those who contributed to creating this escape room are professors and students on campus. Many of which Ludwig has worked with before. 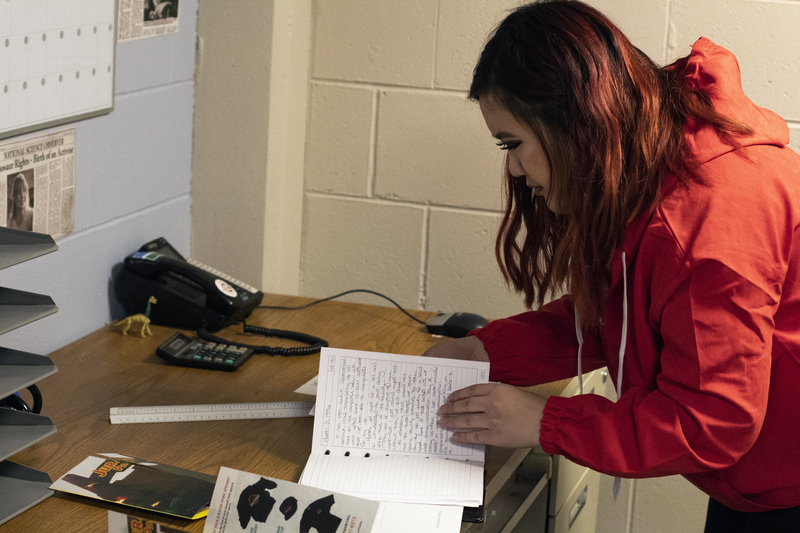 “There were quite a few months of working with facility management, they’ve been a huge support for this, getting the room cleaned out and prepare for students to be working within it. As you can imagine the engineering of the puzzles and props working together, so I have a committee of seven different people, including myself, pull all of this together from those different departments. Without them we just would not have had this,” says Ludwig. The people that helped make this escape room possible are: Sarah Snyder (South Hall RLC), Steve Shaw (CKTO Hall RLC), Emily Ascher (Campus Activities Coordinator), Houston Taylor (Recreation Specialist, Stout Adventures), Sarabi Carter-Carr (UW-Stout student, lead manager of escape room), Trevor Ludwig (Technical Resource & Productions Coordinator, in charge of ETC); though not a part of the crew, Adam Hanson (an SLS student who works in Services Tech). Ludwig also wanted to give a special shout-out to Matt Herum who was a huge help in becoming the liaison within this project. The escape room made its first opening on Nov 7. Ludwig plans to keep the escape room open and in full use for the rest of this academic year. He also informs that the room itself is student-led, so there are students facilitating the room while people are in there. The schedule for the room is only on Wednesday, Thursday, and Friday nights at 7p.m., two sessions on Saturday at 1p.m. and 3p.m., and another two sessions on Sunday at 3p.m. and 5p.m. The room isn’t only open for just students here on campus, but for the Menomonie community as well. It’s not free, so the cost for students is $5 aperson and for community is $10 a person. For a group of students, there is 9-person limit, it’s a flat rate of $30 and for a department/office its $40. “People can order their tickets online at the BDP ticket site and they just need to put in a reservation at least 72 hours in advance so we can make sure we have a schedule for it,” says Ludwig. Ludwig hopes that the escape room will take off and be used by all students and faculty around campus. In the future, he sees this becoming an all student-led escape room where students will be the ones in charge of it. He’s excited to see where this escape room will go and cannot wait for all of those to enjoy.